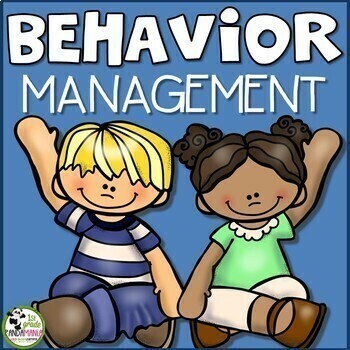 This Best Selling behavior management packet has everything you need to help you and your students have the best year ever! Some pages editable. Now lots more forms with many of them editable! When I make updates, improve and add to this unit, you will always be able to download the latest version at no additional charge! Just go to your purchases page and download! Don't forget to leave feedback and follow my store to be the first to know about sales and new products! ♥ Happy Go Home Notes (one with Panda, another with cute girl with pink dress in color, and another black and white version with cute boy--JUST ADDED: Monkey Happy Go Home Note!) * Note to send home to parents when student moves clip all the way up to pink! ♥ My Think Sheet * Form for students to fill out when clip is moved down twice. Could be printed on duplicate format so one copy is kept at school while other goes home for signature. ♥ Warning Cards * A visual reminder to place on a student's desk when needed before a clip is moved or after a clip is moved. ♥ Behavior Clip Chart UPDATED and IMPROVED! * Print on card stock or index paper and laminate for sturdiness. 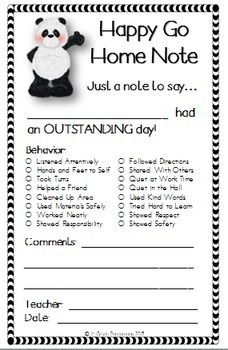 ♥ Black and White Behavior Clip Chart--Ink saver! Print on your own colored card stock and save on colored ink! 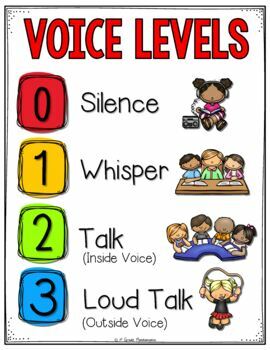 ♥ Daily Behavior Monitoring Form * To use with individuals who need a behavior plan. EDITABLE in Word so you can edit to suit your classroom needs. 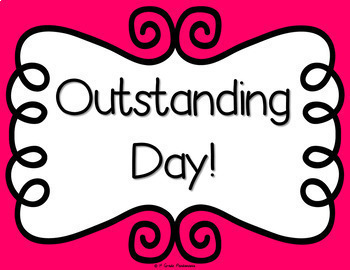 ♥ Calendar for students to record their color each day! ♥ Partially EDITABLE Calendar (area on bottom can be edited to add your own message) To be updated annually. ♥ NEW! Class Rules Posters and Matching Student Activity Sheets EDITABLE! Check out the preview to see everything that's included.